Learn How To Fold Wontons 10 Different Ways! 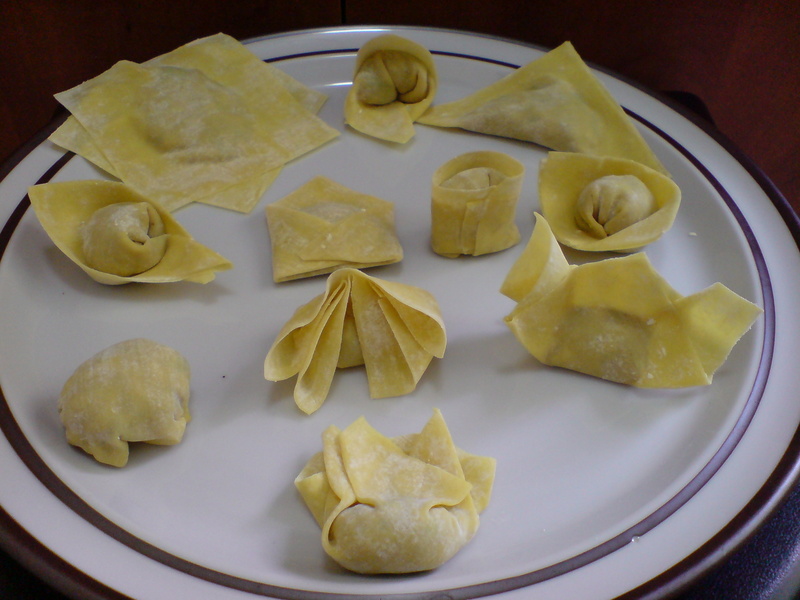 Learn how to fold wontons with these 10 different folding techniques. Dazzle your family and friends with wontons in all sorts of shapes. 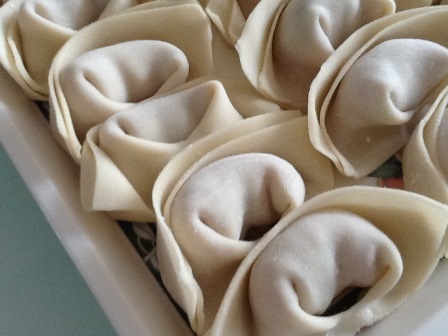 Make wonton ravioli, samosas, chinese ingots and more. Fancy dazzling your family and friends with wontons in all sorts of shapes? 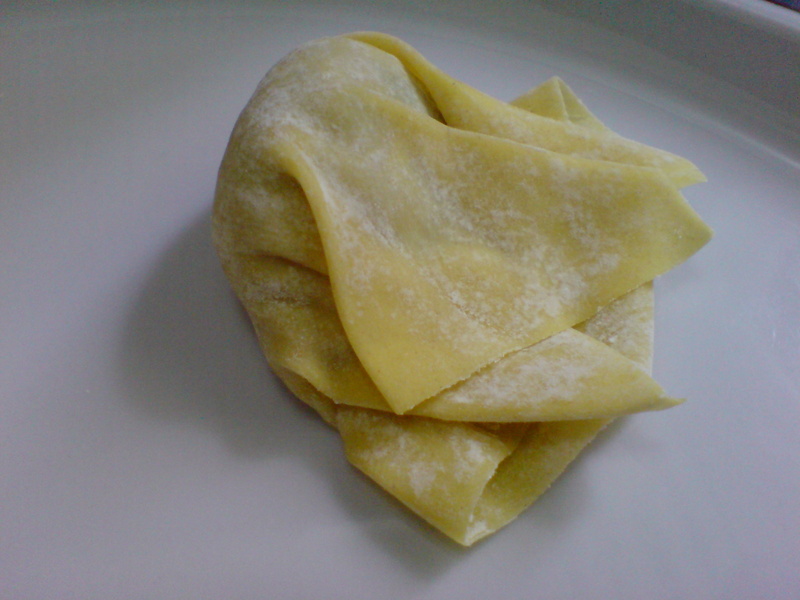 Learn how to fold wontons with these 10 different folding techniques. I used store-bought wonton wrappers to make these wontons but you can make your own. Do not leave wonton wrappers uncovered during wrapping time. Always cover both unused wrappers and completed wontons under damp tea towels. 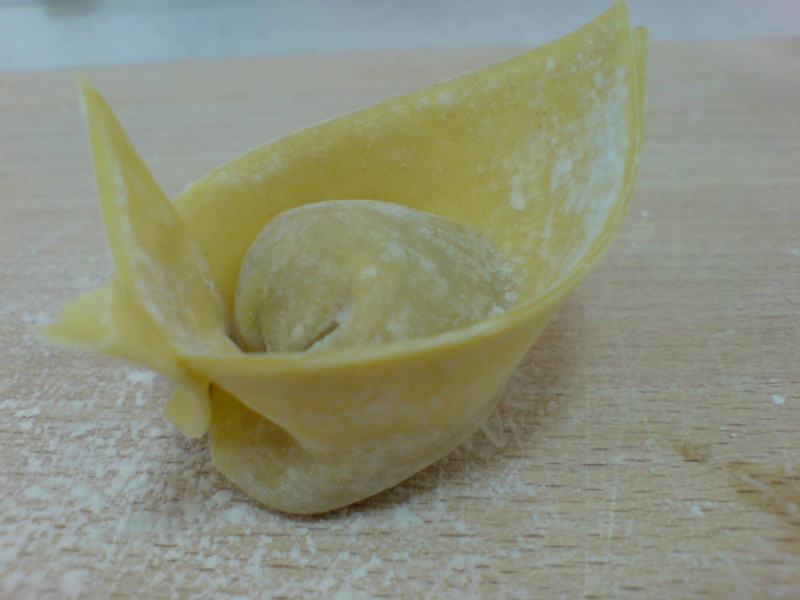 Several cookbooks I came across say to lay the wonton wrappers out on a baking sheet, place the filling in the middle of each wrapper and then wrap. I guess they took the idea from baking. This "lay-them-all-out" method is fine for cookies and pies and turnovers but it is a big No-No when it comes to wrapping wontons. The wrappers dry easily. After opening the packet, they should be kept moist. Take one piece out at a time to wrap. 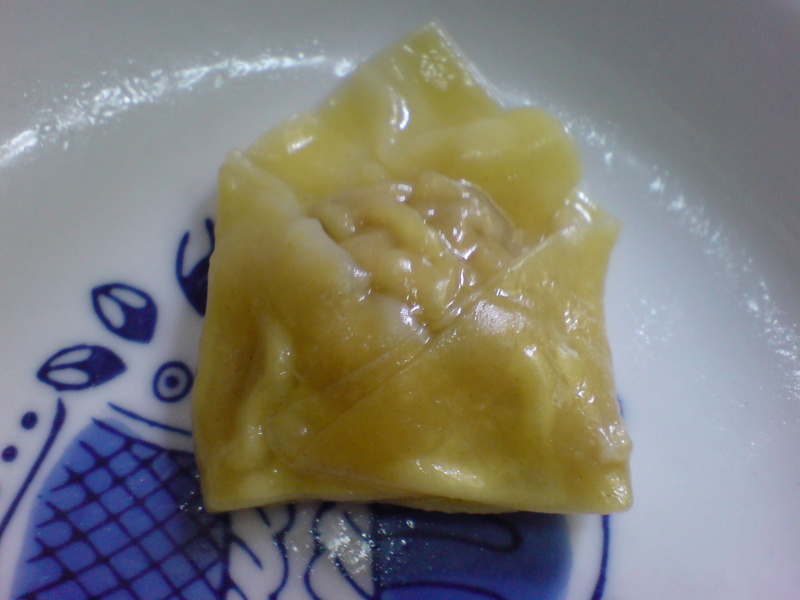 After wrapping, keep the wontons covered in the same way. Let me tell you a story, a true one. 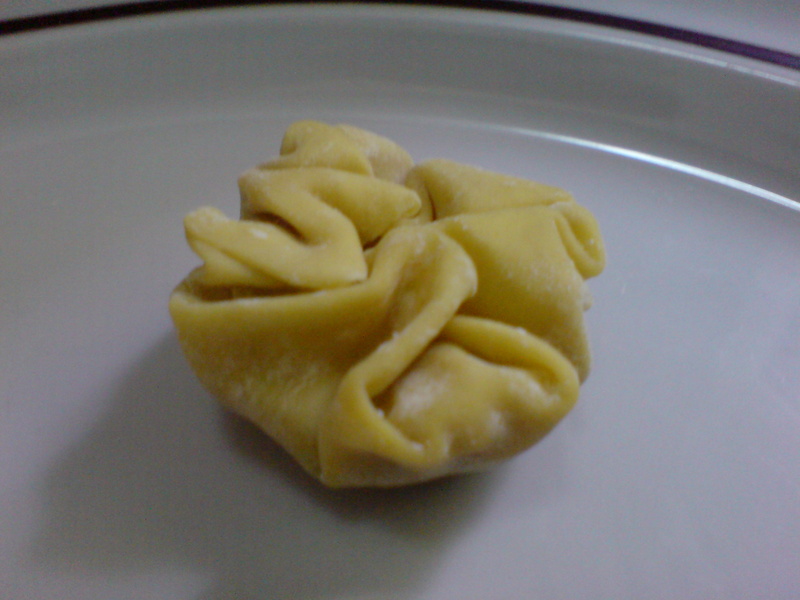 When I was still little and thought I was the cleverest kid around, I tried to save time by wrapping big wontons. I struggle to wrap it all up but the skin broke. When I did manage to wrap a big one without breaking the skin, the filling and the wrapper parted ways in the boiling water. Do not wrap big wontons, unless you got super-sized wrappers. They aren't very stretchable unlike most pastry. And once they tear, you can't "patch them up". The general rule of thumb is about 1 teaspoon heap per 3 inch sheet. 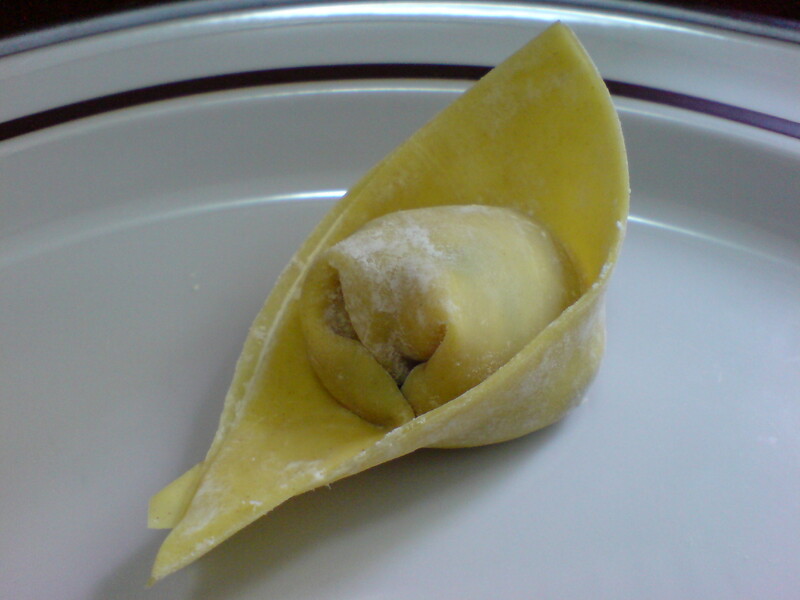 A bit more if you are using the samosa style and ravioli styles. I tried to include photos and videos to supplement the written instructions. I don't know how to make videos so most are selected from Youtube. Many videos are really bad, dark and shaky. I tried to pick the ones that I think are the best. Hope you agree. 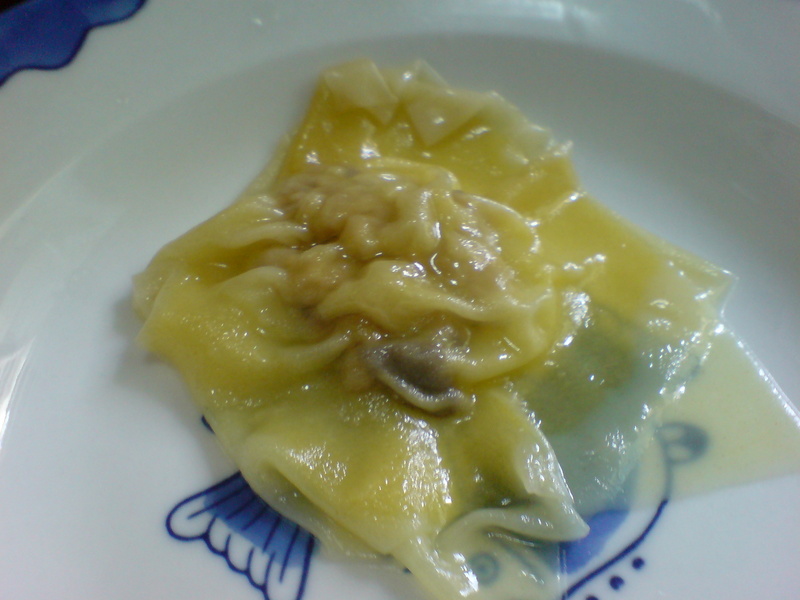 This wonton ravioli style is so easy. Ultimate beginners should start here. 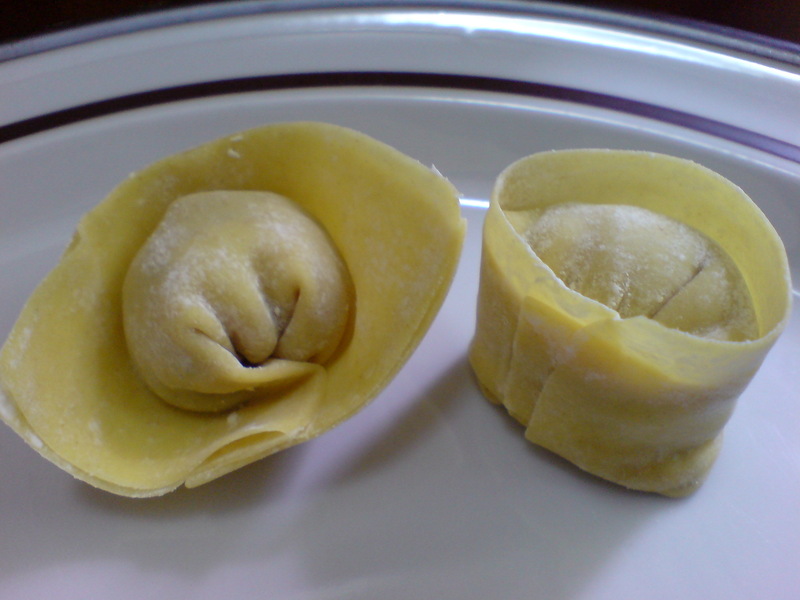 Because you are using two pieces of wonton wrappers for each wonton, either buy extra wonton skins or make less filling or you might run out of wrappers and have to make meatballs too. I think this style is great for using up leftover turkey from that scrumptious thanksgiving dinner. Try to push all the air out between the filling and the wrappers. If you don't, the air will expand during cooking and your wontons might burst. 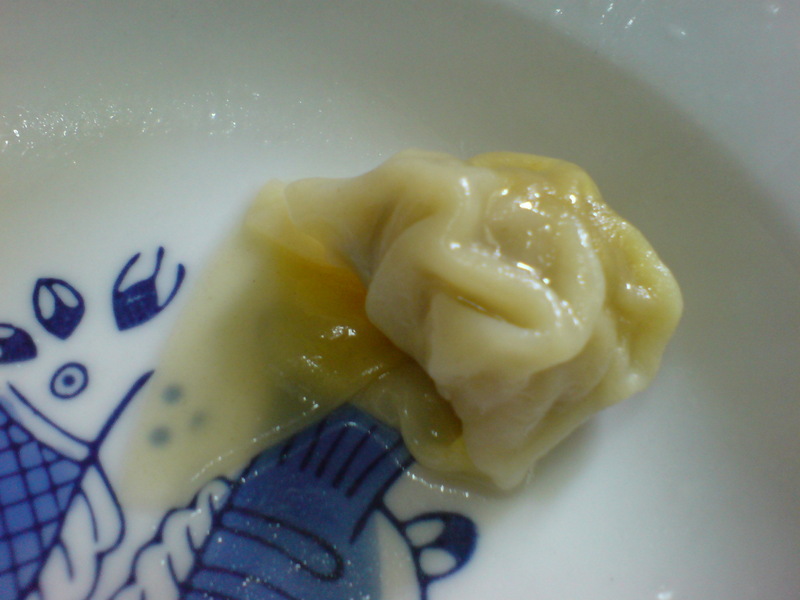 Sealing properly is important unless you want your wonton to spill its "treasures". When you boil them, they are going to do cartwheels in the water. When they finally stop and stay afloat, it means they are cooked. 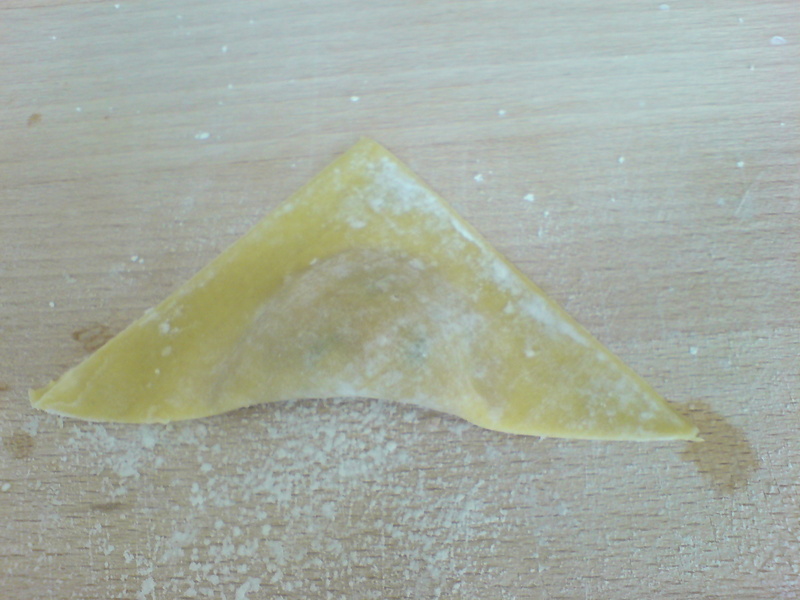 The wonton samosa style is basically making a triangle by folding the square wrapper in half. Although I boiled this, I think the samosa style is best for deep frying. The edges are thin and will crisp up nicely in the hot oil. Try it out with this crab rangoon recipe. 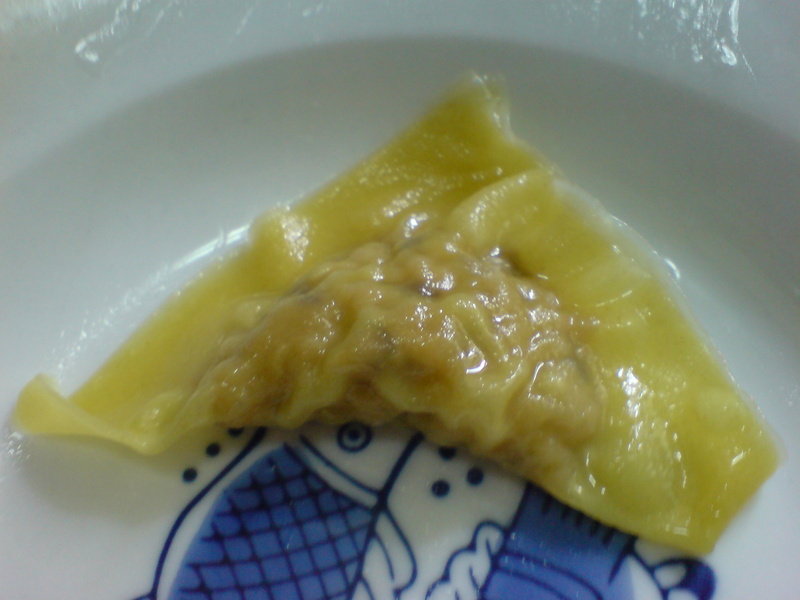 I will usually lay the wrapper on my hand, fill and fold the wonton without using the cutting board (see how it is done in the 2 videos below). 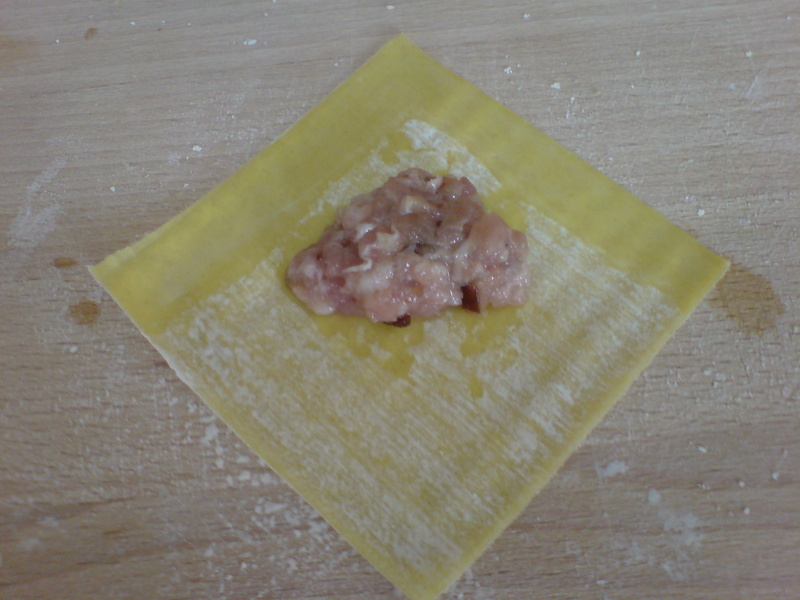 This may be too fiddly for cooks new to wrapping wontons. Laying it on a cutting board to fold provides more control. This is one of my favorite styles. Not too difficult but not too boring to make. According to some Chinese chefs, this is known as the swallow style. The overlapping corners are supposed to the tail of the bird while the opposite side is the beak. What do you think? 4. Wet the two side corners of the triangle, gently pull them together and press firmly.The center corner should stick out slightly. Cute right? 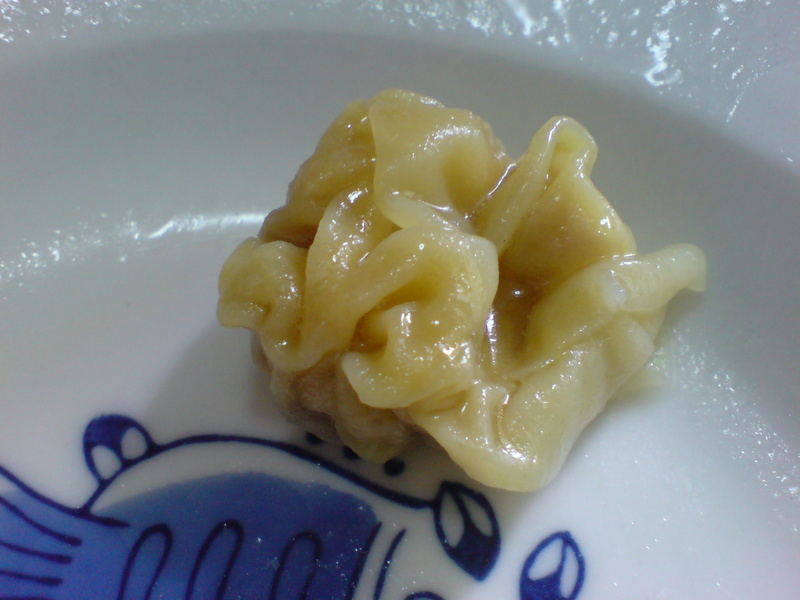 This is not a traditional Chinese wonton style. It is here because I think it is easy to fold and looks cute. This style is great for baking or frying. Imagine spreading Nutella and a thin slice of banana in this. Bake till golden brown and dust lightly with icing sugar. A little more challenging, but the shape looks great. 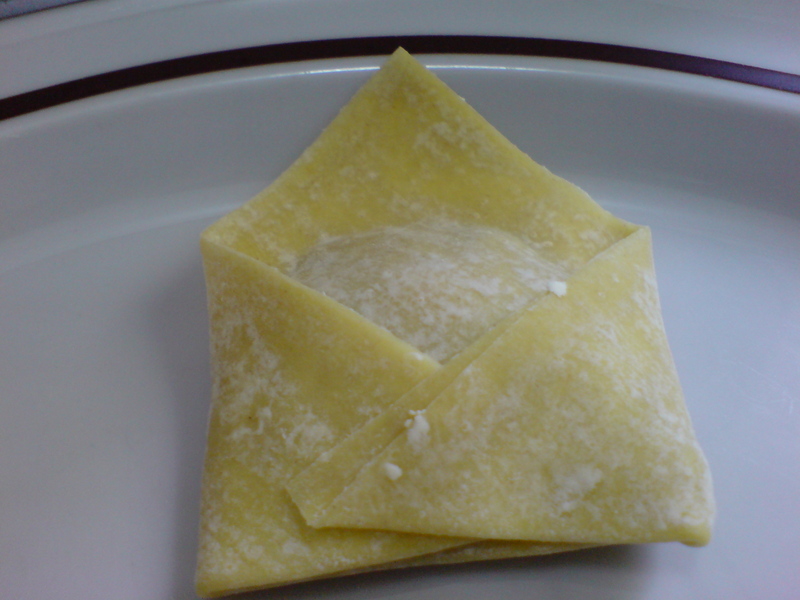 It is similar to the samosa style with a twist except that the center corner that sticks out is a single layer. If you want a step-by-step photo guide to making this style, go to this flickr photo set created by Derek. Here's a video by Dennis Mong on how to fold this style. Short and sweet. 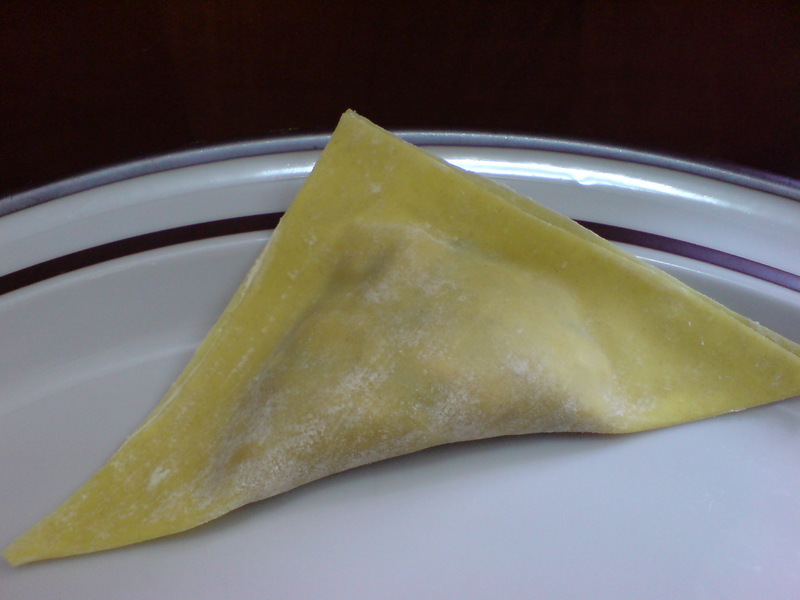 This style is the same as the samosa with a twist style except you fold the wonton into half like a rectangle instead of a triangle. When you connect the two ends together, you can choose to connect the diagonal sides together or from end to end. 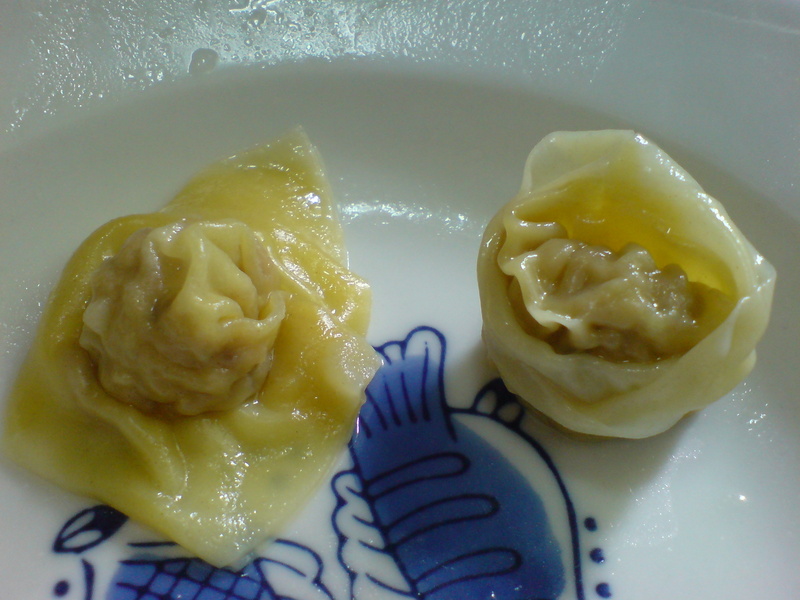 Note that your choice can result in two very different wonton shapes. Try it. This one is supposed to crease like an un-ironed shirt when it is cooked. What do you think? I just wonder why we would want to learn how to fold a wonton like an unironed shirt. Just kidding. This looks simple, but needs a certain degree of dexterity. It is different from just bunching up the wrappers. When wrappers are bundled up, the neck area become thick and not very appetizing. This style is best served in soup. 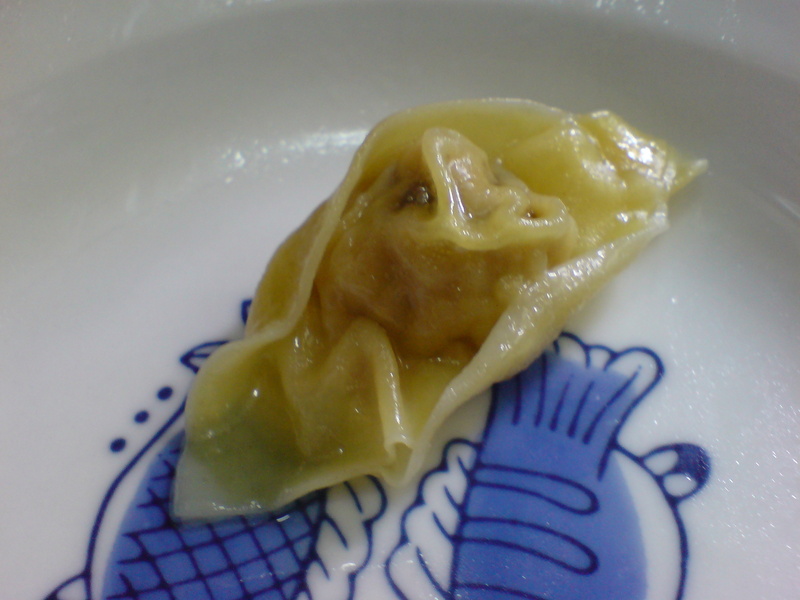 The lady in the youtube clip below wraps the Hong Kong-styled wonton with such ease and finesse. I have to include it here. 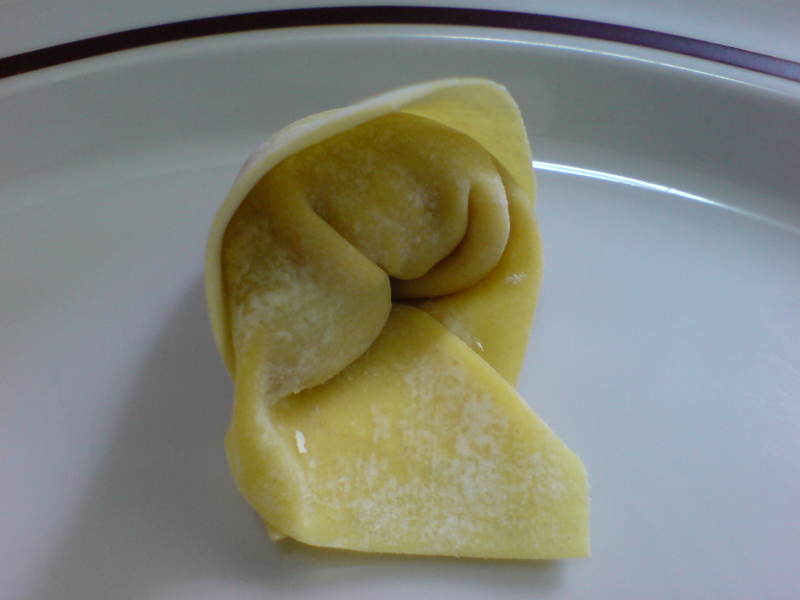 Si Chuan is well known for its cold weather and it is not surprising that they have a wonton folding style that depict how a man would ward off the cold by folding his arms. 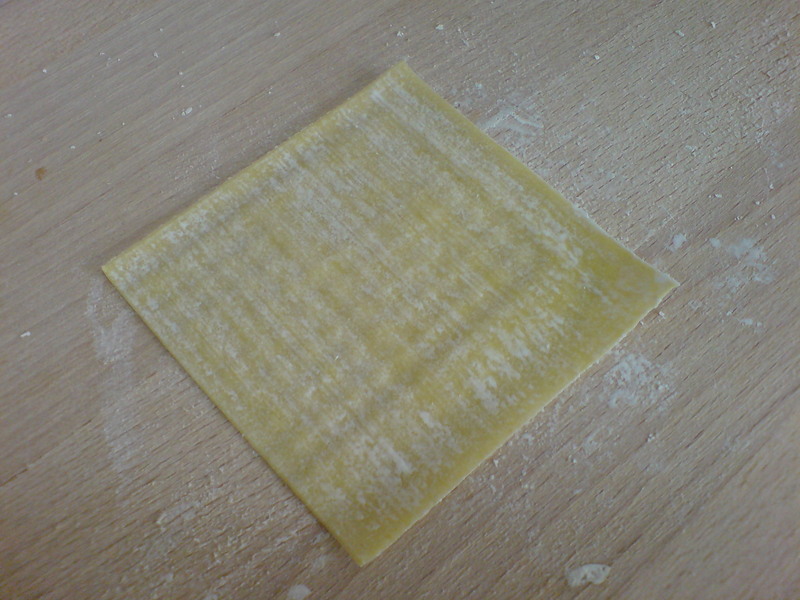 This style is similar to Style 6 except the tips or corners are not folded against the filling. See the video below for a clearer illustration. The clip is a bit long. Fast forward to 3:45. This style can be served in a spicy oily sauce that is a rave in 四川 (si chuan). 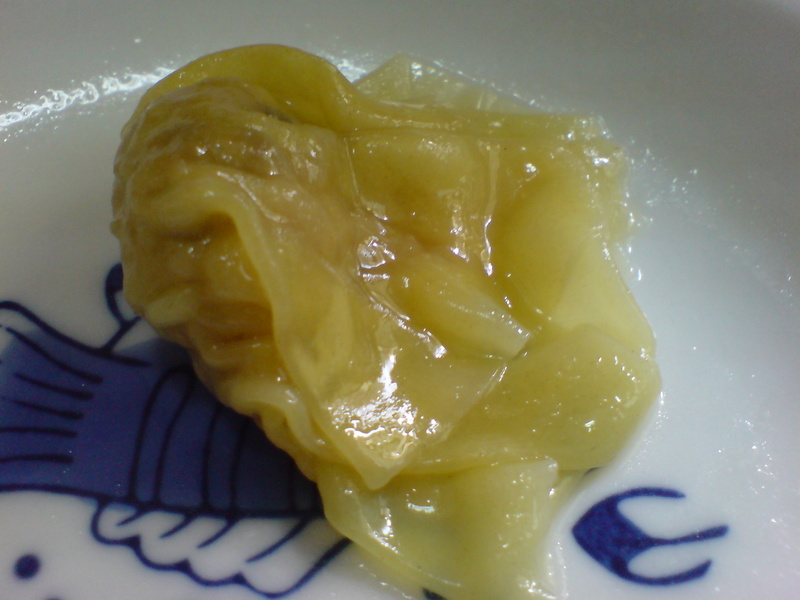 It is called 红油抄手 (hong you chao shou). This four-pointed star, like the envelope, is not a traditional Chinese style. 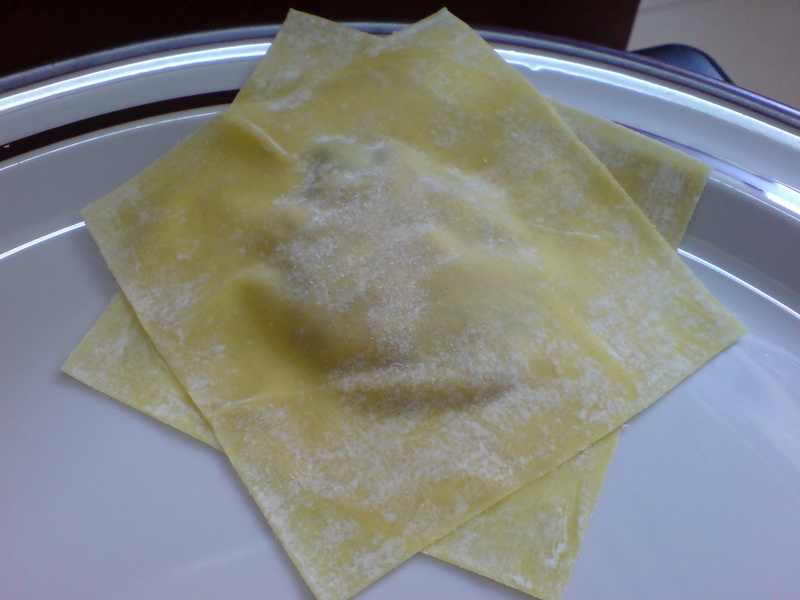 It is a folding style suitable for baked or fried desserts because the wrapper isn't fully sealed. See this photo slideshow at seriouseats.com for a photo demonstration. Did you have fun learning how to fold wontons? Did you invent a new style while you are at it? If so, share it with me.